Chris Fryer has worked on a wide variety of physics and astrophysics projects. His primary astrophysics studies include the engines, progenitors and emission from core-collapse supernovae and gamma-ray bursts, neutron star formation and populations, and chemical evolution and nucleosynthesis. 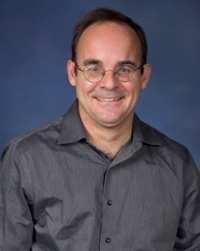 For his work on core-collapse supernovae, he was named an APS fellow. He has also worked extensively in laboratory astrophysics studying turbulence, radiation transport, radiation hydrodynamics and atomic opacities. For his combined astrophysics and laboratory physics work, he received an E.O. Lawrence award and was named a LANL fellow. Sanna Sevanto is a physicist turned to plant physiologist with broad expertise in transport phenomena in complex natural systems. She has a master’s degree in material science and a PhD in applied physics from the University of Helsinki, Finland. Her interests in biomechanics and the environment have led her to apply the knowledge of physics to studying plant physiology and plant responses to environmental stress. Before beginning her career at LANL in 2009 she spent three years studying plants at Harvard University and teaching atmospheric thermodynamics and fluid mechanics at the University of Helsinki. Her research has focused on measurements and modeling of plant-atmosphere interactions, ecosystem energy, water and carbon cycles, plant hydraulics, plant responses to stress, and on mechanistic understanding of plant structure and function. 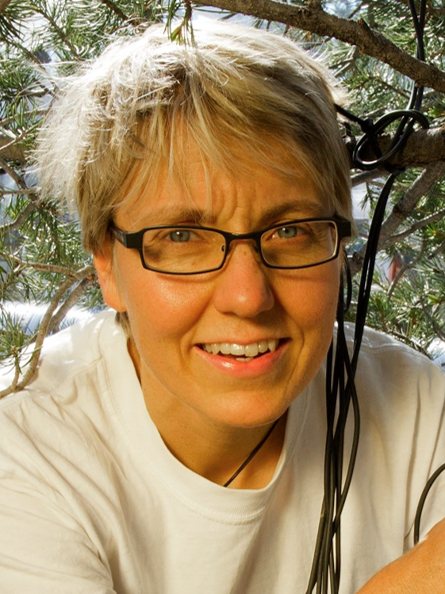 She has over 70 peer-reviewed publications and has collaborated with researchers from various disciplines ranging from applied and theoretical physics, and global-scale vegetation modeling, to cellular and ecosystem-scale biology, ecology, meteorology, atmospheric sciences and material sciences, applying techniques from these fields for understanding plant function, and vegetation influence on climate. These techniques include neutron radiography of water flow in plants, and plant-root systems, soft-tissue x-ray tomography for studying plant anatomy, ultra-low field NMR for measuring plant drought responses, and linear displacement transducers for measuring pressure changes in plant tissues. Charlotte Rowe has been a member of EES's Ground Based Nuclear Detonation Detection team since coming to Los Alamos in 2002. She serves primarily as a seismologist but also supports the monitoring mission using other geophysical methods including gravity and collaborations using cosmic ray muons. 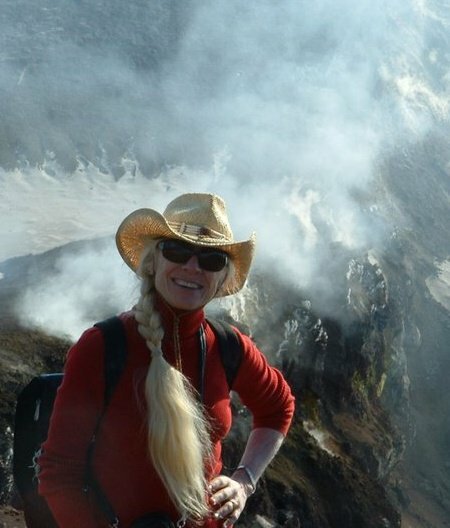 She served as Alaska's Deputy State Seismologist for many years and was active both in earthquake monitoring and hazard assessment and monitoring of active volcanoes, both in the Arctic and the Antarctic. Current research efforts include digital signal processing methods to enhance nuclear monitoring capabilities, shallow seismic modeling for sites of interest, and developing methods and capabilities for ocean-bottom seismic sensing and analysis. Dr. Rowe received her Ph.D. in Geophysics from the New Mexico Institute of Mining and Technology. She serves on the International Joint Task force for SMART Cables, the Global Seismographic Network Steering Committee, has served on the National Research Council and she served fourteen years as an Associate Editor for the Bulletin of the Seismological Society of America. She is adjunct faculty at both the University of New Mexico and New Mexico Tech and has given 35 invited lectures at government agencies and academic institutions, domestic and foreign. She has co-authored three book chapters, and her journal publications have an impact H index of 21. She is a recipient of the Hammer Award via the National Performance Review of the Office of the Vice President of America under VP Al Gore, has been awarded multiple Los Alamos LA-AP awards, a Los Alamos Distinguished Performance Team award, was a recipient of the Los Alamos Star Award, and as the pinnacle of Dr. Rowe's career, the U.S. Commission on Geographic Place Names designated Rowe Nunataks in recognition of her contributions to Antarctic geoscience. 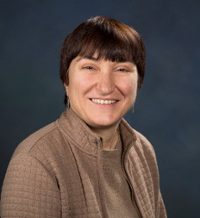 Vania Jordanova is a well-recognized member of LANL’s Space Environmental Modeling group and team leader for Space Environment, Effects and Mitigation (SEEM) team of the Space Science and Applications Group (ISR-1). She has over 25 years of experience in theoretical plasma physics, data analysis, and computational modeling. She joined Los Alamos in 2006 as a strategic hire in support of the LDRD-DR DREAM (Dynamic Radiation Environment Assimilation Model) project. Her area of expertise includes geomagnetic storm dynamics and processes that couple the ionospheric and magnetospheric regions. Dr. Jordanova created a state-of-the-art large-scale kinetic model that simulates the near-Earth transport of energetic particles in realistic electric and magnetic fields. She has been the Principal Investigator (PI) or Co-PI on more than 20 projects that study magnetospheric dynamics sponsored by NASA or NSF. She is a Co-I on two NASA Van Allen Probes instrument teams, the Energetic Particle, Composition, and Thermal Plasma (ECT) and the Electric and Magnetic Field Instrument Suite and Integrated Science (EMFISIS). Dr. Jordanova was the PI of the LDRD-DR SHIELDS (Space Hazards Induced near Earth by Large Dynamic Storms) project selected as a R&D 100 Award Winner in 2017. At present, she is the CSES Focus Lead for Space Science and leads LANL’s efforts to establish a “DRIVE Science Center” (a multi-institute multi-disciplinary Center to tackle large outstanding problems in Heliophysics, co-funded by NASA and NSF) at LANL, which integrally involves CSES. Dr. Jordanova received a Ph.D. in Atmospheric and Space Sciences from the University of Michigan in 1995. From 1996 until 2006 she worked at the University of New Hampshire, first as a research scientist, and later as a research professor. She has more than 130 scientific publications in the refereed literature and has given over 50 invited talks at international conferences and public lectures. She has served on a number of DOE, NASA and NSF review panels, the NSF/Geospace Environment Modeling (GEM) Program Steering Committee, and the American Geophysical Union (AGU) Fred Scarf Award Committee. She has received two Los Alamos Distinguished Performance Awards, the NASA Group Achievement Award for Van Allen Probes Mission, and the ESA Award for Outstanding Contribution to Cluster II Science. 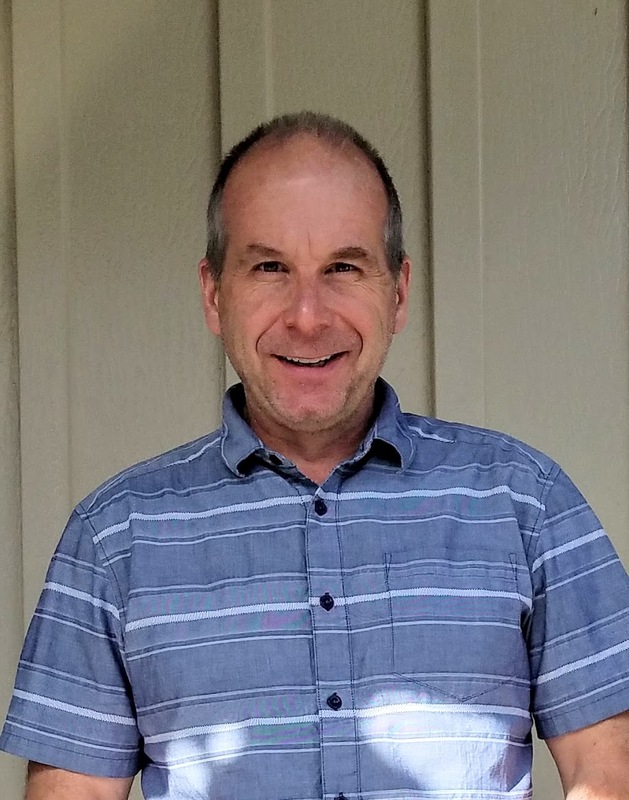 Michael Henderson has more than 25 years experience in space physics and has worked on a broad variety of space missions and modeling research projects. His primary research areas have focused on problems associated with magnetospheric storms, substorms, radiation belt physics, geomagnetically-induced currents and other space weather applications. He has worked with data from a wide variety of space-borne instrumentation including space-based global auroral imagers, energetic particle and plasma instruments and energetic neutral atom imaging instruments. Michael's current current research efforts revolve around two different topics: 1) modeling and understanding the impacts to terrestrial power grids from a Carrington-class geomagnetic storm event and 2) inferring radial diffusion transport coefficients from Van Allen Probes energetic electron measurements. Michael has over 123 published papers (with a current H-index of 36), is a Co-I on a number of previous, current and future NASA missions, PI for two LANL particle instruments, recipient of 3 LANL Distinguished Performance Awards, recipient of a number of NASA group achievements awards, and a recipient of a 2016 R&D 100 award as part of the highly successful LANL SHIELDS spacecraft surface charging modeling effort. 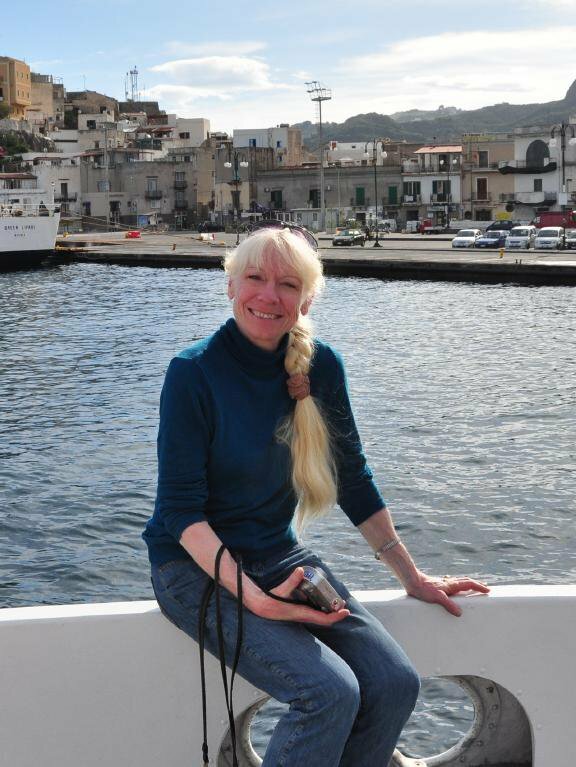 Lisa Danielson has a broad scientific background spanning astrophysics, meteoritics, granitoid petrology, geochemistry, and experimental petrology, laying the foundation for understanding and exploring the solar system. Her professional career started in Houston with a fellowship at NASA Johnson Space Center, where she collaborated in building the high pressure experimental petrology lab that she would later manage, while continuing and expanding research in terrestrial planetary interiors. She’s spent the last 10 years working at NASA for Jacobs on the JSC Engineering, Technology, and Science (JETS) contract, growing a career and research program in Sample Science through rapid expansion of facility capabilities and addition of expert personnel. 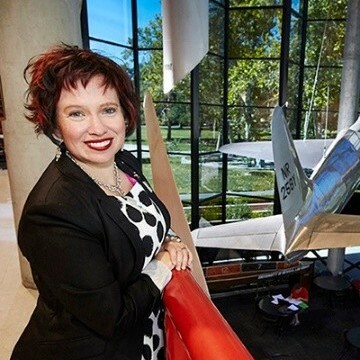 As Manager of Basic and Applied Research for the JETS contract at NASA JSC, she was appointed a Jacobs Ambassador, and is a recent graduate of the Jacobs Leadership Development Program. During this year long intensive she took the opportunity to improve her business acumen related to contract opportunities, management, and implementation, completing a sabbatical with Business Development and Sales. Finding a gap in available student and early career leadership and learning opportunities at JSC, she started a Career Development Seminar Series and founded a grassroots women’s career and outreach organization, Supporting Women at NASA (SWAN). She’s engaged with university partnerships through implementing formal contract mechanisms, as well as service, activities key for successful recruitment for internships and new positions. In 2017 she was honored with the UNLV Graduate College Alumna of the Year award, in recognition of leaders who are having a positive impact in the world.